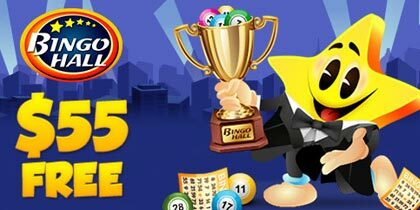 Tasty Bingo has announced that a player has won a massive cash prize on their newly launched progressive jackpot slot game. 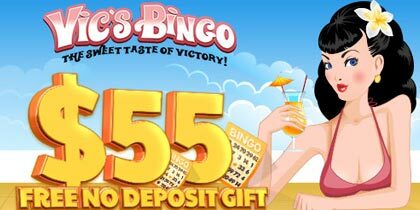 The Tasty Bingo slot which is themed on the site was launched recently and features a three tiered progressive jackpot. The lucky winner, peter1962 scooped £20,830 on this slots game on the 4th of March which also happens to be Tasty Bingo’s first birthday. When contacted by the popular UK bingo site, this is what the lucky winner had to say, I was playing away and saw the jackpot rising and thought how nice it would be to win. I played for a short while and all of a sudden a big banner came up on the screen and said ‘Jackpot Winner Congratulations You’ve Won £20,830. peter1962 couldn’t believe his luck and at first thought that there was a mistake. It was only after he spoke to live help and they confirmed that yes, he had indeed won £20,830 did it sink in. Never thought it would happen to me, you hear of other people winning and thinking how nice. Anyway it is real and it has happened to me so I will enjoy it with my wife and make a few family members happy. Once again thank you tasty I will always remember this site and continue to play, he concluded. We congratulate the winner on his fabulous win. The Tasty Bingo slots game is a 5 reel, 25 paylines game that is only available at Tasty and sports a three tired progressive jackpot. If Tasty Bingo is your favourite site, you will simply love the slots game which features symbols like ice creams, pastries, sundaes and a whole load of tasty treats. 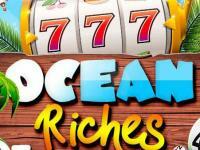 This slot game can be enjoyed by all levels of players; from those who like to wager conservatively to the high rollers and has adjustable wagers that start as low as 1 coin up to 20 coins per line with a maximum bet of 500 coins per spin. Several gaming buttons are provided to help players adjust the number of paylines and wager amounts. You can even automate gaming up to 100 spins! The maximum single line win in the Tasty Bingo Instant Game is 1,000 coins for five blue whale logos but smaller jackpots are also available. 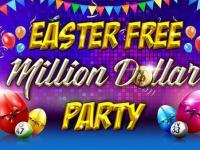 The game has loads of goodies including wilds, scatters, free spins and bonus rounds to increase your payouts. The Free Space logo is the wild and substitutes for all other symbols except the scatter. Also available are two scatters; the chocolate strawberry which triggers the free spins round and the Tasty Bingo logo and the second which can win you up to 150 times your wager. 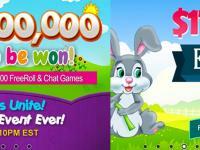 The Tasty Bingo slots game also features a bingo game feature which can win you a massive 1000 times your wager. 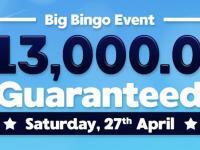 Play this exciting game at Tasty Bingo today and you could be the next big winner. 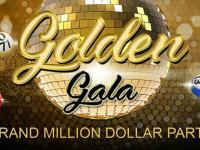 Sign up and get a 200% cash match bonus on your first deposit followed by a choice of exciting gifts.